NICE SHOTS: Truckies had heard of a tourist attraction called the Shot Tower which is 11km south of Hobart beside the Channel Highway, and decided to climb. MANY young men and some women are seeking careers as truck drivers. That is what Spy gleaned while snapping pics at a recent huge jobs expo attended by more than 1500 people, the majority being youths. Spy mingled with the participants and asked more than 100 what career they were seeking. At least 20 answered they aimed to get suitable employment as a truck driver whether it be in road trains, light rigs, or at a mine around the country. So the question asked was "why?" Most consider that whatever technology is ahead of us in the coming years, there will always be many truck drivers. There has been a lot of doom and gloom about the road transport industry in some quarters but demand remains high for experienced drivers. While taking that into account, the average of truckies is reportedly over 50 so we need young blood in the industry to complement the veterans. Ten of those wanting jobs as drivers quoted what is a well known fact, "Without Trucks Australia Stops". DRIVERS around the country have diverse interests and it seems that many are fans of the television series Doctor Who. Plans are under way to hold a conference in Hobart Tasmania this year for Doctor Who enthusiasts and truckies from most states have shown interest in attending. The seventh series of the British science fiction TV series Doctor Who originally started airing last September and has been scheduled to air this year being split into two parts. 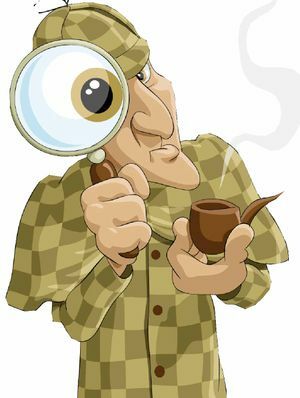 As more information comes to hand Spy will let readers know. THOSE truckies who carry insect repellent in their rigs have become knights in shining armour to others in parts of NSW and Queensland affected by heavy rain. Mosquito plagues have been reported in many different places by many truckies. Spy stopped off at one roadhouse in north Queensland just after dark in late February and saw four drivers yarning. One pulled a can of repellent from his cabin and soon was spraying his mates as well because blood-sucking mozzies made life rather uncomfortable. "I always have a can of repellent on hand as you never know when you will stop in places where there are lots of insects," one told Spy. A MIDDLE-aged NSW truckie got a huge surprise as he was motoring along in his Kenworth near Coff's Harbour without a care in the world. "Some lasses who looked to be aged in their 20s all took their tops off as I drove past and flashed them at me," he said. He was told at his next stop by a local that they were heading to a hen's party. The truckie told Spy he wishes the bride and groom the very best of luck even though he has no idea who they are. Ladies flashing at truckies is becoming a reasonably common occurrence these days as many other drivers from around Oz have reported similar incidences. OUR truckie champions who keep Australia going often come up with some memorable quotes when Spy has the pleasure of yarning to them at various locations. In late February Spy was talking to a group of truckies at a roadhouse parking area and asked one what he liked about the job. "It is not a job but a way of life," he answered aptly. Another was attired in a singlet and was asked if he had a shirt in his rig. "I never wear shirts, always a singlet. If I put a shirt on none of the other truckies would know me," he quipped with a wry grin. KARMA or just coincidence? A group of truckies enjoy a few cold beers under the house of one of their number when they manage to get a weekend off together. Rather than walk upstairs and dirty the carpet the lads have for more than a decade used a large "piddle" cup when they require a regular call of nature. The contents are poured down the concrete tub and washed away with water. They have a friend who is renowned for playing practical jokes on them and none of the lads have ever been able to return serve. So when he turned up unexpectedly he was offered a cold amber fluid but declined saying he had to work in a few hours. A few minutes later one looked around to see the renowned practical joker having a drink of cold water from the fridge which he had poured into the piddle cup in the tub. Laughter broke out when he had guzzled the water and soon he wanted to know why. ON THE subject of fridges, Spy overheard a rather unusual conversation while sitting in the eatery at a popular roadhouse. A group of eight drivers were having a meal and they started discussing which one has the oldest downstairs fridge. One Perth truckie claimed his fridge was more than 20 years old and still going strong. However another from Victoria reckoned his was at least 32 years of age. What seemed a menial subject sparked the interest of some sitting nearby with one mentioning the same subject had been talked about on ABC radio. A few people in the eatery joined in the yarn but none could claim to have a fridge anywhere near that age. TWO NSW truckies who were delivering goods down in Tasmania found an ideal place to put their aim to become fitter into practice. 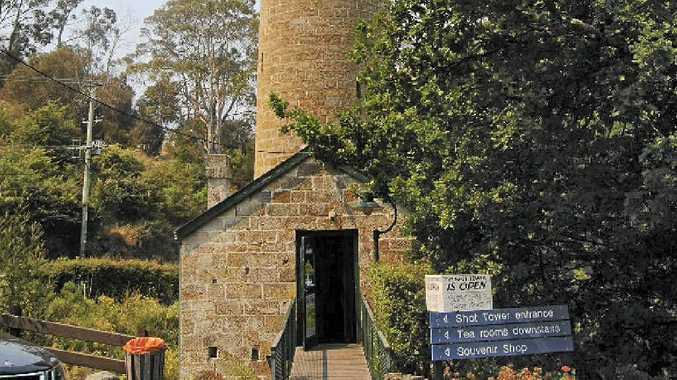 They had heard of a tourist attraction called the Shot Tower which is 11km south of Hobart beside the Channel Hwy. It is 58m tall and a walk to the summit involves climbing 320 steps. Spy was there on the very day and one was exhausted after returning to ground level. "It was a major effort to get up there but once we did there were great views of Hobart and the Derwent River. Halfway up I was cursing my New Year's resolution," one said.